The release date of the much awaited film Dhadak is fast approaching. The makers have released a new poster of the flick which has shown the two young star kids Janhvi Kapoor and Ishaan Khatter at their romantic best. The new poster has shown Ishaan smearing color on Janhvi’s face while they look gorgeous in white outfits. 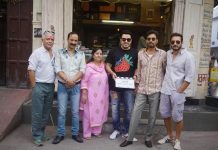 The trailer of the flick will soon be released and the film will be released on July 20, 2018. 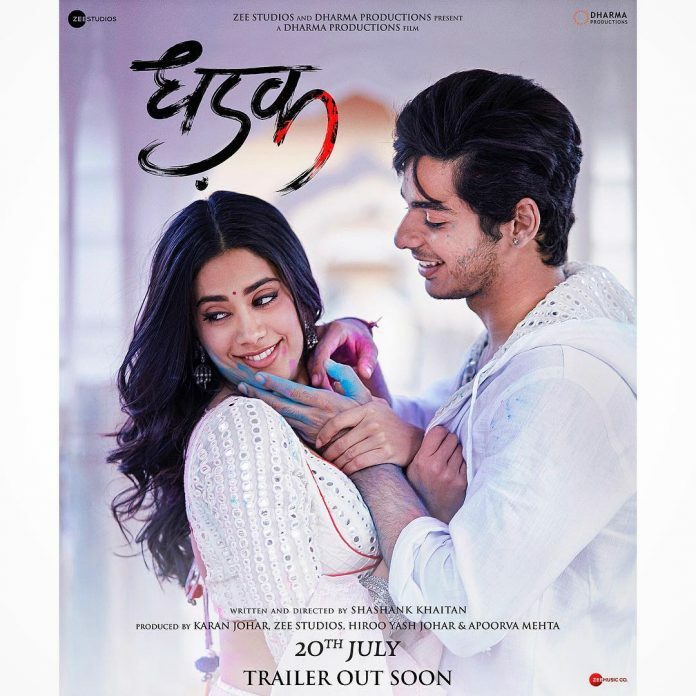 Dhadak is directed by young director Shashank Khaitan and is the remake of the Marathi blockbuster flick Sairat that was based on the caste discrimination and honor killing. The new poster of Dhadak was shared by producer Karan Johar who Tweeted, “#momentsofdhadak #dhadak trailer coming shortly!!!!!! The magic of immortal love begins……presenting JANHVI and ISHAAN !!!!! @ShashankKhaitan film releases 20th JULY 2018 #dhadak”. Janhvi in a recent interview with Vogue magazine revealed that her mother Sridevi had watched 25 minutes of Dhadak. During the interview the young actress also shared that when Sridevi was around, she was like a baby to her. Janhvi added that she would want her mother to put her to sleep and sometimes Sridevi used to feed food to her. The new poster indeed looks promising. The film will mark the second film of Shahid Kapoor’s brother Ishaan Khatter in Bollywood.